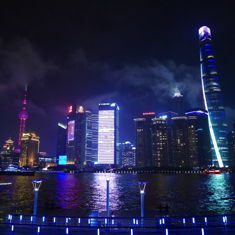 This is actually the third Shanghai Comic Convention, coworkers went to the first two but they never invited me and I of course had to work and study for my CFA exam, but this year an official outing was organized and I was so in. I of course studied after the convention ended for the day and I wish we would have went earlier because lines were long and if you did not sign up for some things early, you were SOL. We went on the Thursday October 5th but the convention lasted for three days. We met at 1:30 pm but the convention hall opened earlier. I think I stayed the longest, it is safe to say I was the biggest comic book fan. I also think I was the oldest. I didn’t do any research or planning, I just went along with the others, there are some big Gundam and video game fans at work, but mostly the convention seemed to be about statues. 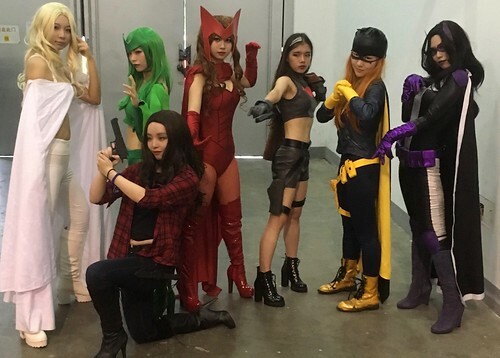 There were also a quite a few cosplayers. There were some presentations, some were even in English, but mostly you lined up to look at stuff. You could also get professional makeup done, talk with artists, even get sketches and autographs. You could also spend a lot of money. The most popular items to buy seemed to be the statues, some you could buy, some you could not. There were of course some comics but they were outnumbered by statue booths. Prime 1 Studios was one of the statue exhibitors, they posted a video, quite possibly to Facebook, which tells you just how many VPNs there are in China, despite the crackdown. Some booths dealt with video games or other related geeky topics. 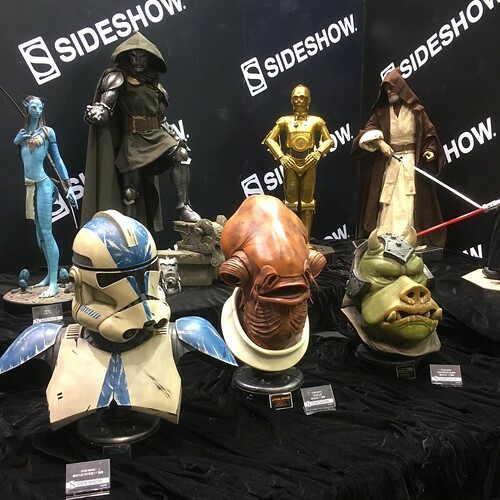 Asmus Toys was another exhibitor for which I was able to turn up convention coverage. If you find some more coverage in English or photos, just leave a link in the comments if it isn’t too spammy. I’m definitely used to smaller more grassroots conventions. Comics have become cooler since I was a kid. They’ve also become big business, I still remember being shocked when Marvel went into bankruptcy protection in the 90s. With Disney now owning Marvel and Star Wars, well you can see why I keep looking at Disney job postings. I also may have just gotten a job interview for tomorrow and I have another one lined up for next week, so maybe my life will improve in 2018. You can of course view my resume if you’re hiring. I have already registered for the CFA Level III exam and developed the ultra original study plan of one study session per week. This is not sustainable study pace and it was a struggle to do Study Session One last week, even though I was off work due to the national holidays. I had also committed to attending the comic book convention, I joined two new gyms last week, I applied to yet more new jobs, and I tried some new cafes and restaurants. Tonight however I made the effort and sacrifice to update this blog. I really want to find a new and hopefully better job so I can focus fully on the CFA Level 3 exam in 2018. I almost went to the Shanghai Comic Convention for a second day so I could do stuff I wanted to do, even if I had to stand in line for an hour or more, but in the end I forced myself to go to the gym and then study. My coworkers in addition to not being as big as fans as me are apparently not willing to make as many sacrifices as me which is why I’m still in China waiting for something better to finally open up. Turnover is high where I work. I took quite a few pictures but Flickr is among the websites blocked by the Great Firewall of China, so I upload less and less to the Internet. I really have to wrap this blog posting up and start preparing for my job interview tomorrow, alas I also have a dental procedure scheduled. My life never seems to get easy. One thing I was surprised to see was some Games Workshop models. Some were for sale and some were just on display. I was going to chat up whoever was in charge of that booth, but my coworker likely wanted to keep moving. I was a good miniature painter, just like I was a good video gamer, and even a good video game level designer, I just always focus on practical pursuits, but someday soon I may make yet another career change that most people likely would not. 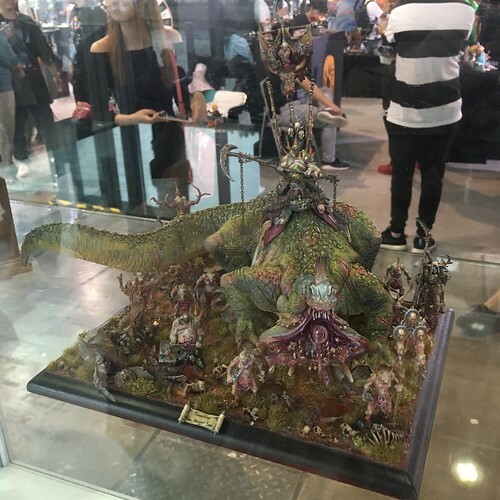 This entry was originaly posted on October 9th, 2017 , it was last edited on April 17th, 2019 and is filed under: The Arts and tagged: China, Comics, Cosplay, Miniature Painting, Shanghai.